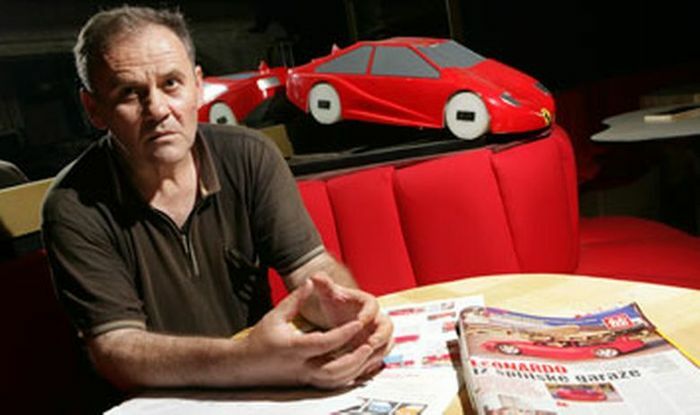 Zlatko Vukusic, in the nineties, financed both the preparation and presentation of his prototypes in Bologna, Geneva and Frankfurt, where he attracted the attention of the concave hood and windshield. Unusual solution thrilled many. Even the famed Italian designer Sergio Scaglietti called Vukusic a modern Da Vinci. But when he started talking about mass production, everything went downhill. This is a story that makes you think this is all a crime movie. Cosmopolit was actually an order for Ferrari. The whole story of the prototype began in 1992, when he was on the recommendation of Giotto Bizzarrini, a former chief engineer and creator of the legendary Ferrari 250 GTO. Thanks to Bizzarrini, Vukušić came to Maranello, he was immediately offered cooperation and asked to start with making the car. 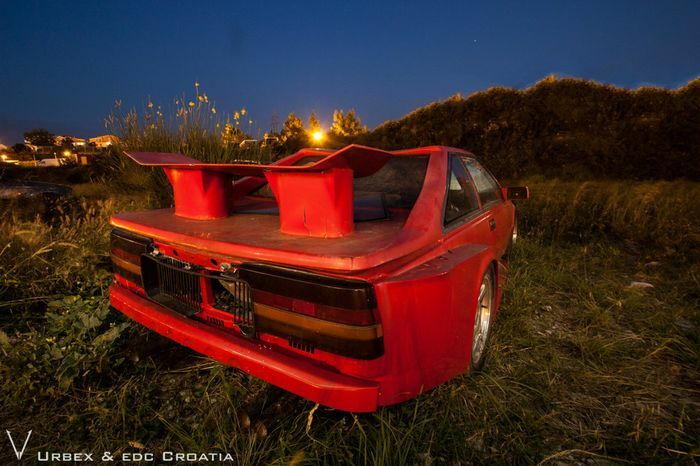 He financed the whole project with his own, hard earned, money he made in the then succesful family café, Ferrari. claims that Ferrari would still use his designs, despite him not working there anymore. That’s why he started the motor sport exhibitions, so he protected his revolutionary design. Showing the car in Frankfurt people from Mercedes approach him. negotiate exclusively with the government, they wanted to make a deal so that we can pay depths that we had to Germany. That was absolutely unacceptable for him. After all that went down, few weeks later, all kinds of people in suits spied on him, he claims that those were goverment agents. Soon after goverment took after some of his claimed land and his local cafe parking lot, that means they took the Cosmopolit from him. The car as i said has been taken away from him… It is abandoned and not taken care of in a in impound lot for 14 years. Well why isn’t it claimed then? 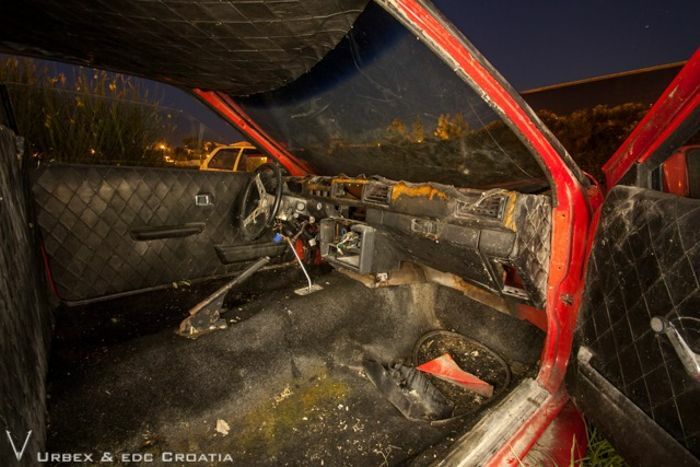 Vukušić wants the state and the country to pay him for the damage on him car, it was damaged during transportation. Well how did we get the pictures of it then? Bro, the guards don’t pay attention at all xD. 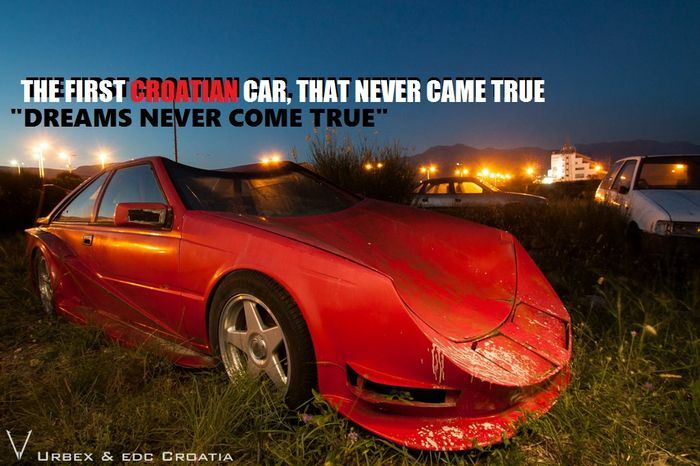 Probably will never get claimed nor stealed because the car probably has no engine in it. Idk we can try. Anyone wanna come? This blog was supposed to be posted like 20 days ago xD.